Torremolinos is a tourism-oriented city on the Costa del Sol of the Mediterranean, immediately to the west of the city of Málaga, in the province of Málaga in the autonomous region of Andalusia in southern Spain. A poor fishing village before the growth in tourism beginning in the late 1950s, Torremolinos was the first of the Costa del Sol resorts to develop, proof of which are the hundreds of hotels, apartments and other accommodation options in Torremolinos. It is very popular with British tourists and has a large British expatriate population. 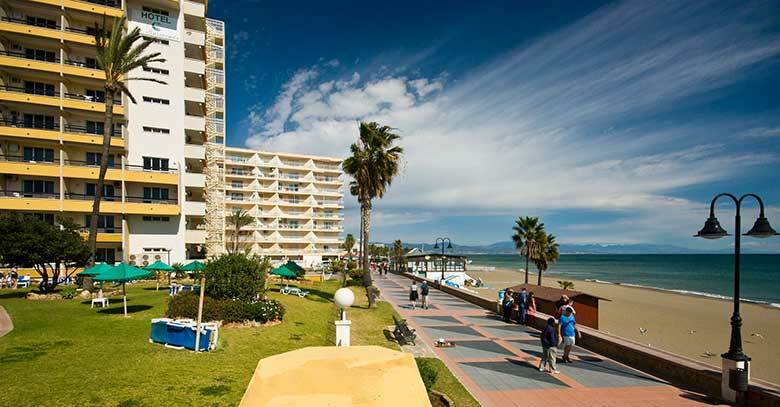 Torremolinos had its heyday during the eighties and into the nineties, but over the last five years there has been a noticeable shortening of the ‘high’ season, and a change in the demographic structure of visitors. It continues to have a thriving indigenous gay population, which it continues to attract. It also attracts families, but the young fun-loving 18-30 visitors are being replaced by an older crowd of ‘snow birds’ – pensioners travelling overseas, over winter for the sunshine. Nowadays, there are just a few straight nightclubs in Torremolinos, younger tourists are simply moving further down the coast to Fuengirola and Marbella.